Hello, 36th Avenue readers! 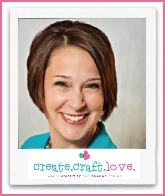 This is Jill from Create, Craft, Love.Valentine’s Day is rapidly approaching! 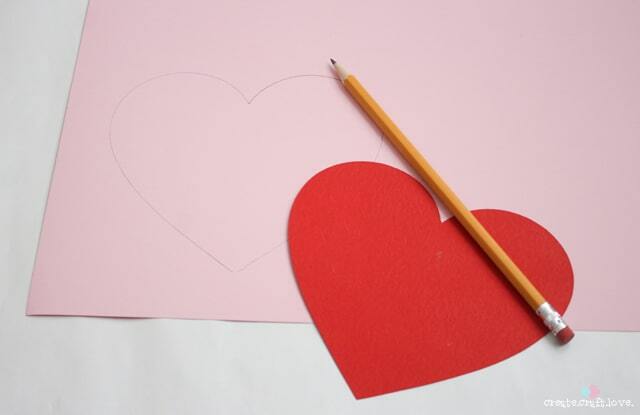 Have you figured out what to do for the kiddo’s Valentine party at school? No worries, I’ve got you covered! 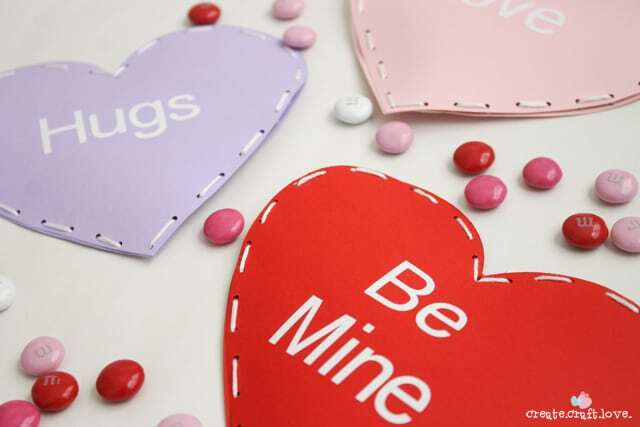 Whip up these adorable Candy Filled Valentines! This craft is super easy so get the kids involved too! 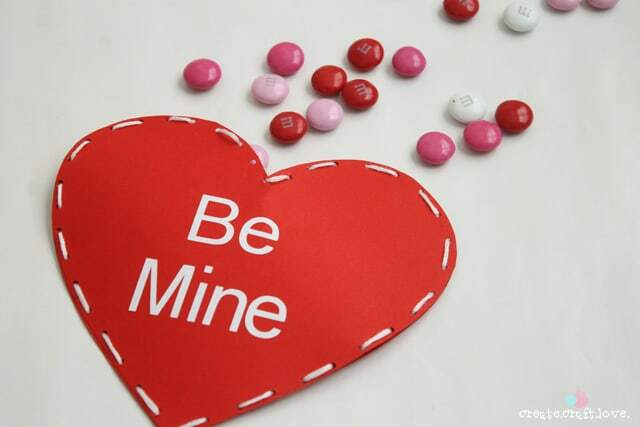 How to make your own Candy Filled Valentines! 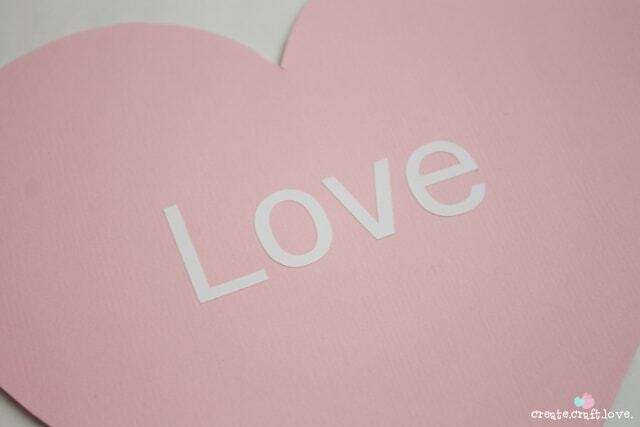 Begin by tracing and cutting out two hearts on your cardstock. 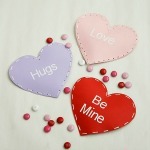 On the front of one heart, add the stickers to create your own conversation heart. Place both hearts on top of each other. 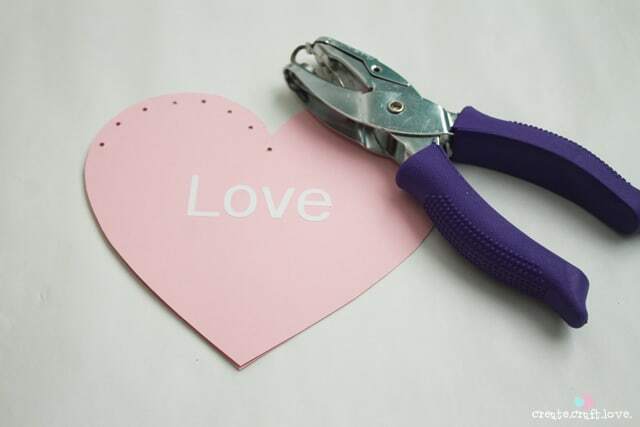 Using the 1/8 inch hole punch, begin punching holes along the edge. I spaced them about every centimeter or so. 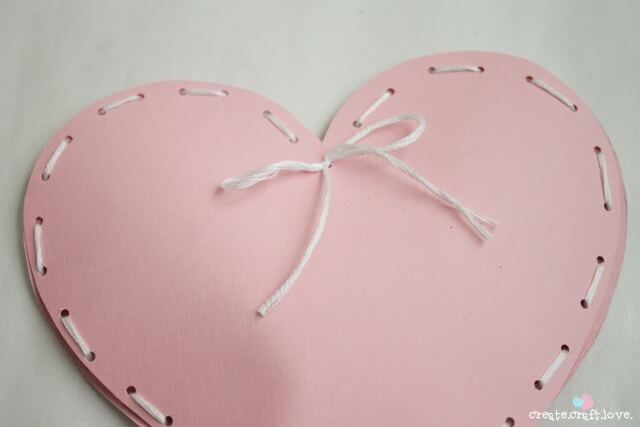 These will be the holes you use to stitch up the Valentine. Once you’ve punched out the holes all the way around the heart, begin stitching shut with your embroidery floss and needle. Leave about 2 inches not stitched so you can fill with candy! Stitch shut after it is filled with candy. Tie a bow with the extra embroidery floss and trim the excess. You can get kids of any age involved in this craft! Reed helped me stitch the heart. Great for fine motor skills! I love how they look like conversation hearts! 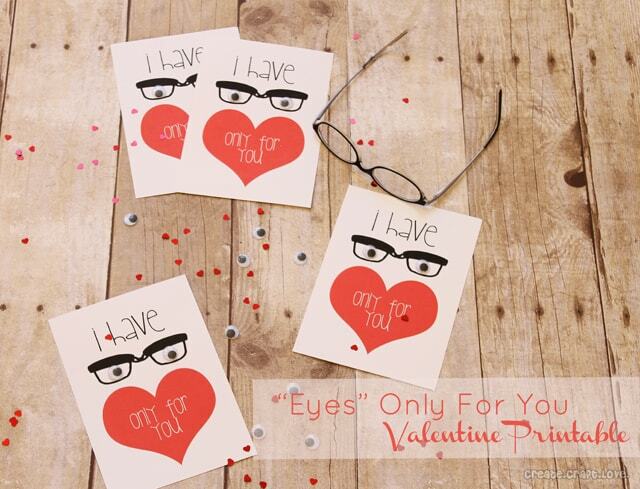 You can personalize them too! Use the kids names instead of phrases. 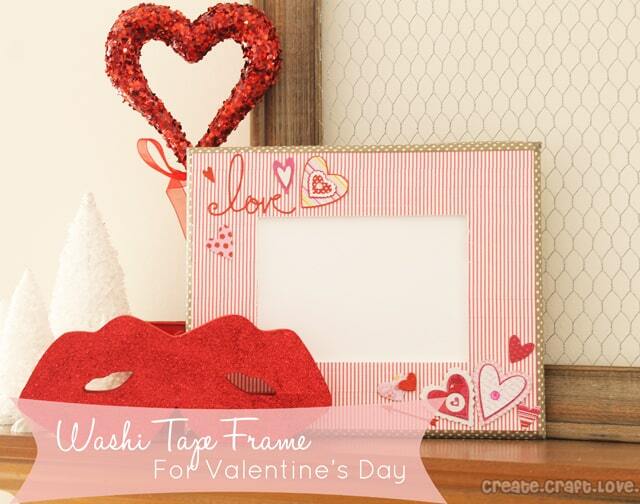 Looking for more fun Valentine’s Day ideas? Stop by Create.Craft.Love! You can follow along with me on Facebook, Twitter, Pinterest and Instagram! I love how cute and simple these are, Jill! Such a special little valentine!! Thanks Cathy! They are so easy to make! Very cute! I love how simple they are to make. Those are super adorable!! Pinned! Such a fun idea – may be just the perfect project for my Activity Day Girls next week! Oh how I love Jill – these are adorable!!!! What a great idea. These are so sweet and simple – love them Jill!